We study the mechanism of protein synthesis using ensemble and single molecule fluorescent methods. The ribosome is a central component of cell metabolism, an extremely complex and highly dynamic machine. We are interested to learn how structural dynamics of the ribosome and ribosomal ligands enable protein synthesis. During proteins synthesis, ribosomes move along mRNA. This movement is coupled to translocation of tRNAs inside of the ribosome. It has been discovered that translocation requires ratchet-like intersubunit rotation. We are trying to understand the mechanics of this ratchet mechanism. There are other types of ribosome movements besides codon-by-codon translocation, such as programmed frame-shifting, ribosome shunting on poly-cistronic mRNAs and ribosome scanning during initiation of protein synthesis in eukaryotes. We are expanding our research toward investigation of molecular mechanism of these specialized translocation events. How does the catalyst of ribosomal translocation, elongation factor G, rectify spontaneous intersubunit movement into unidirectional translocation of the ribosome? What is the mechanism of programmed ribosome frame-shifting and bypassing segments of mRNA? How do elongation factor G and ribosome recycling factor (RRF) disassemble ribosome into subunits after termination of protein synthesis? Kurosaki T, Li W, Hoque M, Popp MW, Ermolenko DN, Tian B, Maquat LE (2014 Sep 01). A post-translational regulatory switch on UPF1 controls targeted mRNA degradation. Genes Dev. 28, 1900-16. Brilot AF, Korostelev AA, Ermolenko DN, Grigorieff N (2013 Dec 24). Structure of the ribosome with elongation factor G trapped in the pretranslocation state. Proc Natl Acad Sci U S A. 110, 20994-9. Azpurua J, Ke Z, Chen IX, Zhang Q, Ermolenko DN, Zhang ZD, Gorbunova V, Seluanov A (2013 Oct 22). 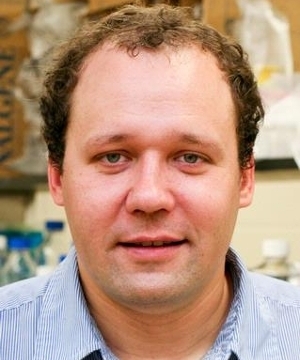 Naked mole-rat has increased translational fidelity compared with the mouse, as well as a unique 28S ribosomal RNA cleavage. Proc Natl Acad Sci U S A. 110, 17350-5. Svidritskiy E, Ling C, Ermolenko DN, Korostelev AA (2013 Jul 23). Blasticidin S inhibits translation by trapping deformed tRNA on the ribosome. Proc Natl Acad Sci U S A. 110, 12283-8. Ermolenko DN, Cornish PV, Ha T, Noller HF (2013 Feb 01). Antibiotics that bind to the A site of the large ribosomal subunit can induce mRNA translocation. RNA. 19, 158-66. Rudenko MI, Holmes MR, Ermolenko DN, Lunt EJ, Gerhardt S, Noller HF, Deamer DW, Hawkins A, Schmidt H (2011 Nov 15). Controlled gating and electrical detection of single 50S ribosomal subunits through a solid-state nanopore in a microfluidic chip. Biosens Bioelectron. 29, 34-9. Ermolenko D.N. & Noller H.F.2011. mRNA translocation occurs during the second step of ribosomal intersubunit rotation.Nat Struct Mol Biol.18,457-62. Cornish P.V., Ermolenko D.N., Staple D.W., Hoang L., Hickerson R.P., Noller H.F. & Ha T.2009. Following movement of the L1 stalk between three functional states in single ribosomes.Proceedings of the National Academy of Sciences USA.106, 2571-2576. Korostelev A., Ermolenko D.N., & Noller H.F.2008. Structural dynamics of the ribosome.Current Opinion In Chemical Biology.12, 674-683. Cornish P.V.†, Ermolenko D.N. †, Noller H.F, & Ha T.2008. Spontaneous intersubunit rotation in single ribosomes.Molecular Cel.30, 578-588(† these authors contributed equally to this work). Spiegel P.C., Ermolenko D.N. & Noller H.F.2007. Elongation factor G stabilizes the hybrid-state conformation of the 70S ribosome.RNA.13, 1473-1482. Ermolenko D.N. †, Spiegel P.C. †, Majumdar Z.K., Hickerson R.P., Clegg R.M. & Noller, H.F.2007. 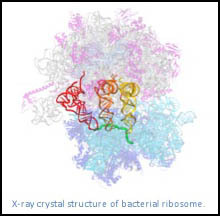 The antibiotic viomycin traps the ribosome in an intermediate state of translocation.Nature Structural and Molecular Biology.14, 493-497(† these authors contributed equally to this work). Ermolenko D.N., Majumdar Z.K., Hickerson R.P., Spiegel P.C., Clegg R.M. & Noller H.F.2007. 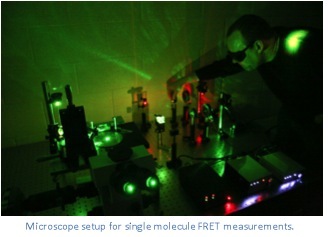 Observation of intersubunit movement of the ribosome in solution using FRET.Journal of Molecular Biology.370, 530-540. Ermolenko DN, Dangi B, Gvritishvili A, Gronenborn AM, Makhatadze GI (2007 Mar 01). Elimination of the C-cap in ubiquitin - structure, dynamics and thermodynamic consequences. Biophys Chem. 126, 25-35. Ermolenko DN, Zherdev AV, Dzantiev BB (2005 Oct 01). Horseradish peroxidase renaturation is less efficient at lower protein concentrations. Protein Pept Lett. 12, 639-43. Ermolenko DN, Zherdev AV, Dzantiev BB (2004 Nov 01). Antibodies as specific chaperones. Biochemistry (Mosc). 69, 1233-8. Bezsudnova EIu, Zherdev AV, Ermolenko DN, Iakovleva IV, Sviridov VV, Popov VO, Dzantiev BB (2003 Nov 03). [Peroxidase refolding in the presence of specific antibodies]. Prikl Biokhim Mikrobiol. 39, 509-17. Ermolenko DN, Richardson JM, Makhatadze GI (2003 Jun 01). Noncharged amino acid residues at the solvent-exposed positions in the middle and at the C terminus of the alpha-helix have the same helical propensity. Protein Sci. 12, 1169-76. Makhatadze GI, Loladze VV, Ermolenko DN, Chen X, Thomas ST (2003 Apr 11). Contribution of surface salt bridges to protein stability: guidelines for protein engineering. J Mol Biol. 327, 1135-48. Ermolenko DN, Makhatadze GI (2002 Nov 01). Bacterial cold-shock proteins. Cell Mol Life Sci. 59, 1902-13. Ermolenko DN, Thomas ST, Aurora R, Gronenborn AM, Makhatadze GI (2002 Sep 06). Hydrophobic interactions at the Ccap position of the C-capping motif of alpha-helices. J Mol Biol. 322, 123-35. Loladze VV, Ermolenko DN, Makhatadze GI (2002 Jul 05). Thermodynamic consequences of burial of polar and non-polar amino acid residues in the protein interior. J Mol Biol. 320, 343-57. Ermolenko DN, Zherdev AV, Dzantiev BB, Popov VO (2002 Mar 08). Antiperoxidase antibodies enhance refolding of horseradish peroxidase. Biochem Biophys Res Commun. 291, 959-65. Loladze VV, Ermolenko DN, Makhatadze GI (2001 Jul 01). Heat capacity changes upon burial of polar and nonpolar groups in proteins. Protein Sci. 10, 1343-52.